Click here for the Dalmeny Hotel website. The Dalmeny Hotel takes its name from the Dalmeny Boarding House which was at 21, South Promenade, St.Annes. Over the past 60 years the Webb family have expanded the hotel. By the 1980s the Dalmeny occupied five of the old properties and in the 1990s doubled in size by developing an adjacent terrace of hotels so the address is now 19-33 South Promenade. 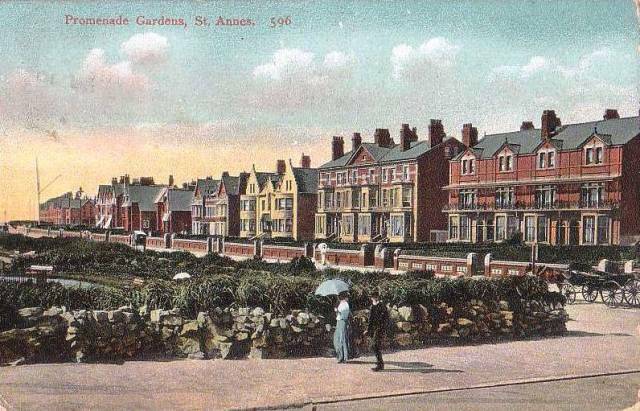 Advert for the Dalmeny Boarding House, South Promenade, St.Annes-on-the-Sea, 1925. Advert for the Dalmeny Hotel, South Promenade, St.Annes-on-the-Sea, 1967. Advert for the Dalmeny Hotel, South Promenade, St.Annes-on-the-Sea, 1983.